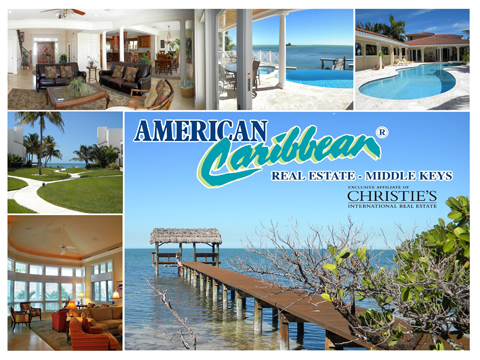 Hello and Welcome to American Caribbean Real Estate of the Middle Keys. We specialize in Florida Keys Real Estate including: properties for sale in Marathon and surrounding areas of Key Colony Beach properties , Duck Key properties , Grassy Key properties and Big Pine Key properties . Please visit our website at: www.ACREsales.com and browse our listings of Ocean Front, Private Beach, Canal Front and Vacation Homes. Buy a tropical house and make Florida your home. On our website you will find Florida Keys Real Estate ranging from conch style homes, condos, vacant land, dockage, waterfront homes, rental properties, duplexes and multimillion dollar luxury estates.